Hallandale Shops are modern retail shops with retail space for rent form 627 SF to 1,044 SF. Hallandale Shops are ideally located on Hallandale Beach Blvd and within 1 Mile from I-95. 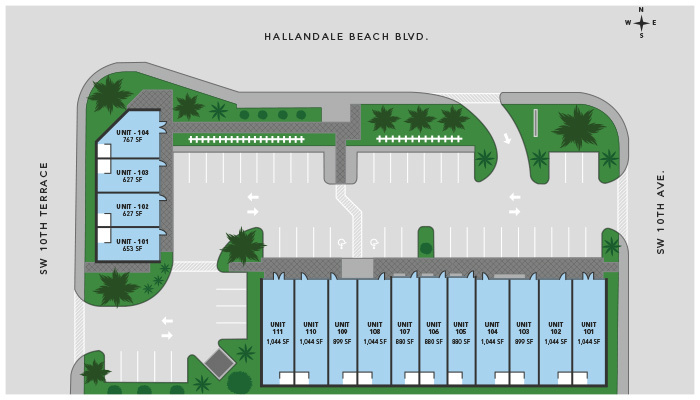 Hallandale Shops are easily accessible for East and West Bound traffic, ideally located for easy access. Located in Hallandale Beach FL a beautiful city with strong demographics.